Originating from Abitibi, in the north of Quebec, Canada, Mathieu Marcotte started playing guitar in 1990 at the age of 14. His growing passion for both metal and classical music inspired him to compose with electrical and classical guitars at the same time. After putting together a few compositions, he decided, accompanied by local musicians, to form the death metal band “Spasme”, who during their 7 years of existence, were known by touring throughout Quebec. Two recordings were produced by the band, that is to say the demo “Traumatism” (Indie, 1995) and the album “Deep Inside” (Neoblast rec, 1999 / Galy rec, 2001). Martin Lacroix : Cover artwork. Michel “Away” Langevin : Inner illustrations. Hugues Deslauriers : sound engineer/ producer. The CD is a must have for any fans of ambient/progressive instrumental pieces of high caliber. 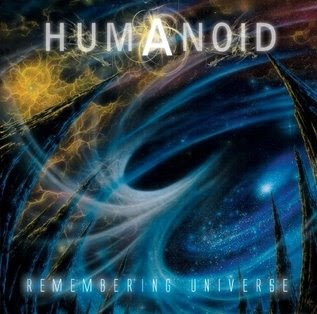 Mathieu states on the band’s Myspace page that he is working on a second Humanoid album (as well as new Augury material) this year, so now is the time to pick up this album and be ready to travel on the waves of the universe in preparation for new material!